After Houston was recently hit by hurricane Harvey, emergency responders found it difficult to accurately assess the situation. Structured, publicly avialable data was limited, thus constraining the ability to provide aid to those in need. We addressed this issue by harnessing the untapped potential of crowdsourced data for natural disaster awareness. 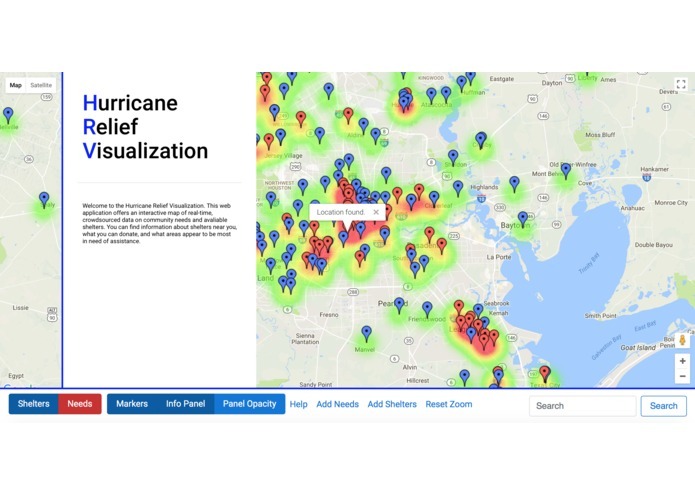 Our robust platform visualizes large amounts of publicly-contributed data in real time with markers and a heat map, enabling emergency responders to efficiently provide help, but also making it easier for the general public to contribute via volunteering and/or donations. Asynchronous requests, importing APIs, etc. 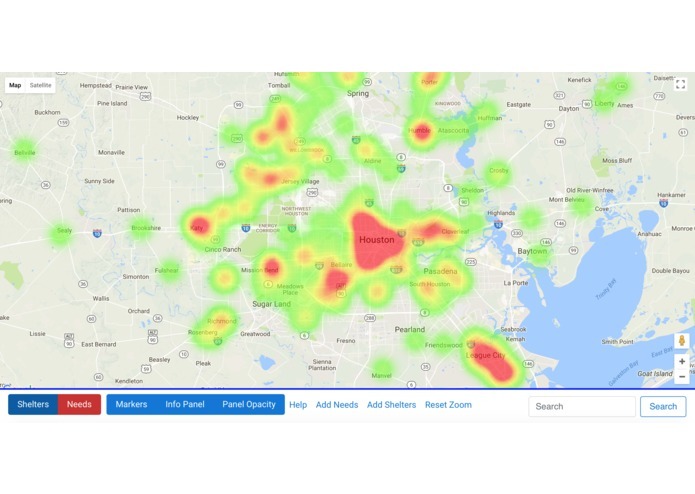 Our use of NLP to determine the weight of points plotted on our heatmap based on the estimated need at each location. Primarily more experience in JS, HTML, and CSS, things we weren't very familiar with before we started this project. 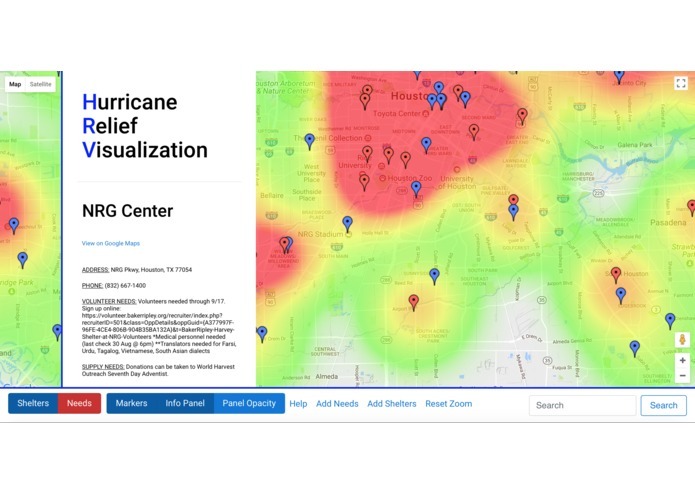 The addition of Twitter / other social media data in order to determine which areas have been affected the most by a natural disaster, support for more APIs than the one developed specifically for Harvey. I worked on most of the frontend development as well as the part of the backend that made calls to the Harvey API and placed the markers on the map.